﻿Gene Kaplan Music﻿ is devoted to the performance and education of woodwind musicians,woodwind doublers and music educators. 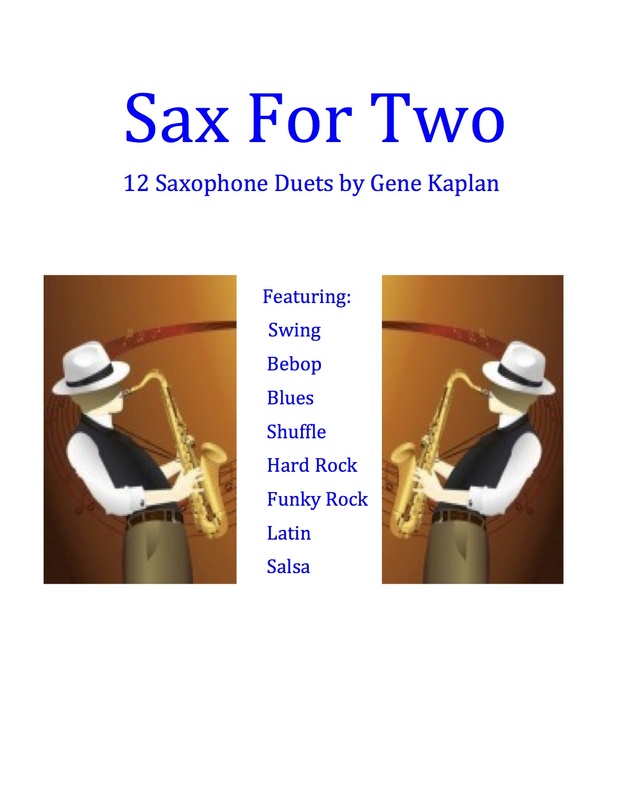 Gene's original compositions and arrangements span a wide range of musical styles and various levels of difficulty from advanced duets, elementary-advanced concert band to advanced symphonic orchestral works. Motown, Latin, Salsa and Swing Waltz. 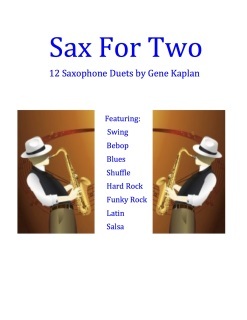 12 Duets in varied styles requiring each player to switch-off playing Saxophone, Clarinet, and Flute. 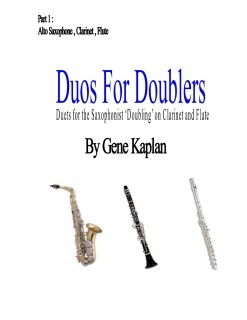 In addition, can easily be used as an etude book for the woodwind doubler.